Aesthetic theory in the West has, until now, been dominated by ideas of effect, autonomy, and reception. Transformative Aesthetics uncovers these theories’ mutual concern with the transformation of those involved. From artists to spectators, readers, listeners, or audiences, the idea of transformation is one familiar to cultures across the globe. Transformation of the individual is only one part of this aesthetic phenomenon, as contemporary artists are increasingly called upon to have a transformative, sustainable impact on society at large. To this end, Erika Fischer Lichte and Benjamin Wihstutz present a series of fresh perspectives on the discussion of aesthetics, uniting Western theory with that of India, China, Australia, and beyond. 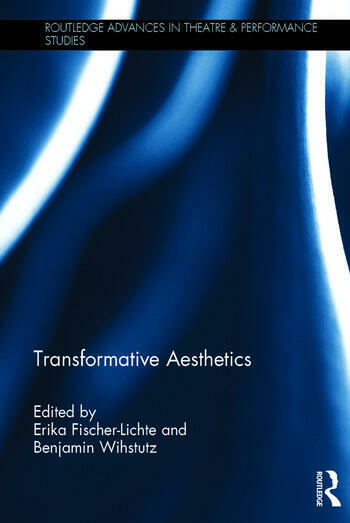 Each chapter of Transformative Aesthetics focuses on a different approach to transformation, from the foundations of aesthetics to contemporary theories, breaking new ground to establish a network of thought that spans theatre, performance, art history, cultural studies, and philosophy. Erika FISCHER-LICHTE is professor of Theatre Studies at Free University Berlin. She is past president of the International Federation for Theatre Research, and holds the chair of the Institute for Advanced Studies on "Interweaving Cultures in Performance". Benjamin WIHSTUTZ is assistant professor of Theatre Studies at the Johannes Gutenberg University of Mainz, and a research fellow for eight years at the Interdisciplinary Research Center "Aesthetic Experience and the Dissolution of Artistic Limits".